If you are unhappy with your nose, you can undergo rhinoplasty. 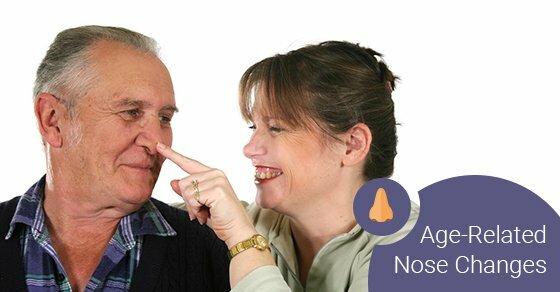 In fact, it is particularly common for those who are experiencing age-related changes to their noses to undergo rhinoplasty. Minor rhinoplasty can lift the tip of the nose to restore a sense of youthfulness. In turn, this will make the bump also go away, all with fairly minor downtime.